These words, first ascribed to the psalmist David, were used by the religious community to name the anguish of feeling abandoned by God. I wonder if Jesus had sung these words before. Did he hear them in the community in which he grew and worshiped? If the words were known to him then speaking them to a familiar crowd may reveal the true depth of his grief. I can’t pretend to have understood Jesus’ suffering that day, yet these words evoke some of the deepest pain. Jesus’ connection with God throughout his life seems to make the intensity of loss all the more heartbreaking. During the Christmas season, we often talk about loneliness and remembering those who are marginalized, those who might also feel abandoned as they get lost or overlooked. As we make our priorities for the season, many of us will seek ways to give and show others that we believe they are important and valued by God. We will invite, give, donate, share. But in taking time to listen, we will most likely also hear the words of those who feel alone, abandoned, or utterly in despair. There may be a gift in the act of singing the psalm together, as the practice may have been. In singing or speaking these words as a community, we offer the gift of acknowledgement. We say “yes!” “Yes, those feelings are real and have been experienced through the ages.” Lamenting as community allows us to say, “You aren’t completely alone in your feelings, even though your experience of feeling may be different.” Singing the words also allows us to be vulnerable enough to say that we, too, have felt that pain. We haven’t always been protected from it. Singing together may stop us from trying to fix the emotion first, but simply offer our presence as a way of support. In the middle of this season, pay attention to the people who are hurting. Pay attention. Go out and do not be afraid of others’ darkness, but be willing to sit in it and listen. Be willing to acknowledge their pain. Know also that pain is sacred. For Jesus found these words sacred in his darkest time, yet perhaps they reminded him that while he was alone, he was not the first to speak them aloud. 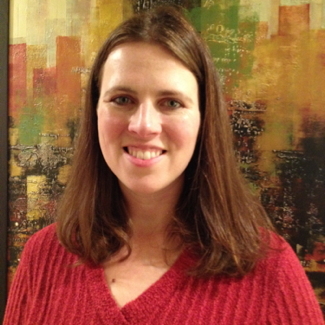 Amy Shorner-Johnson is the assistant chaplain at Elizabethtown College in Elizabethtown, Pennsylvania. She is a wife to Kevin, a mom to Leah and Joel, and a friend to a cherished many both near and far. She enjoys listening to students and continuing to learn in a college setting, as well as trying to bring a taste of the south into a northern state.